WPP has decided not to contest the $2.8M payment that former CEO Martin Sorrell is entitled to under the company’s long-term incentive plan. He exited the ad/PR combine in April after WPP launched an investigation into his personal content. Sorrell denied any wrongdoing. 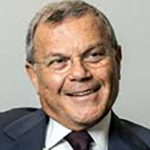 The Financial Times noted that WPP had warned Sorrell that it might withhold his bonus payment due to a breach of confidentiality. WPP granted CEO Mark Read 28,126 shares March 11 under its performance share award program. He sold 13,246 of the lot at £8.84 each to cover UK taxes. On March 13, Read became entitled to 27,228 sharers under the executive performance share plan. He sold 12,843 of those shares at £8.56 each to cover taxes.